The holiday shopping season is upon us. Your favorite retail stores are already playing holiday tunes, promoting sales, and decking out their displays in red and green. But if flashbacks of people rushing all around you frantically trying to find gifts for everyone on their lists are giving you anxiety, fret not. This year you can use indoor Google Maps on your Android device to stay cool, calm, collected and most of all, one step ahead of the crowd. On Black Friday and throughout this holiday season, simply zoom in to a participating store on Google Maps to devise your shopping game plan. An indoor floor plan with helpful labels will automatically appear, and the familiar “blue dot” icon will help you figure out the fastest way to the accessories department, the food court when you need to refuel, and the closest restroom or ATM when you need a break from your marathon shopping session. For many locations, you can even get indoor walking directions to find the best route from one store to the next. 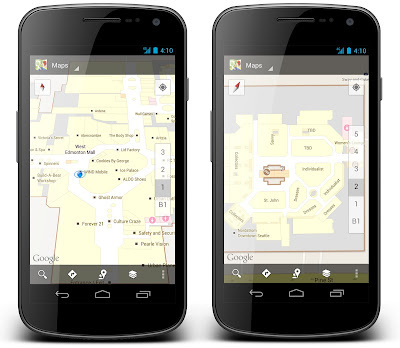 These accurate, easy-to-use indoor maps are available for a number of popular retail locations across the globe including many local malls and select Best Buy, Nordstrom, Macy’s, Bloomingdale’s, Harrod’s, Selfridges, John Lewis and other stores. With the help of your Android device, you can beeline it to the camcorder you’ve been eyeing for your dad, and then quickly make your way to that sweater you know your sister will love. For list of additional venue partners, including some in Belgium that just became available today, check out this list. 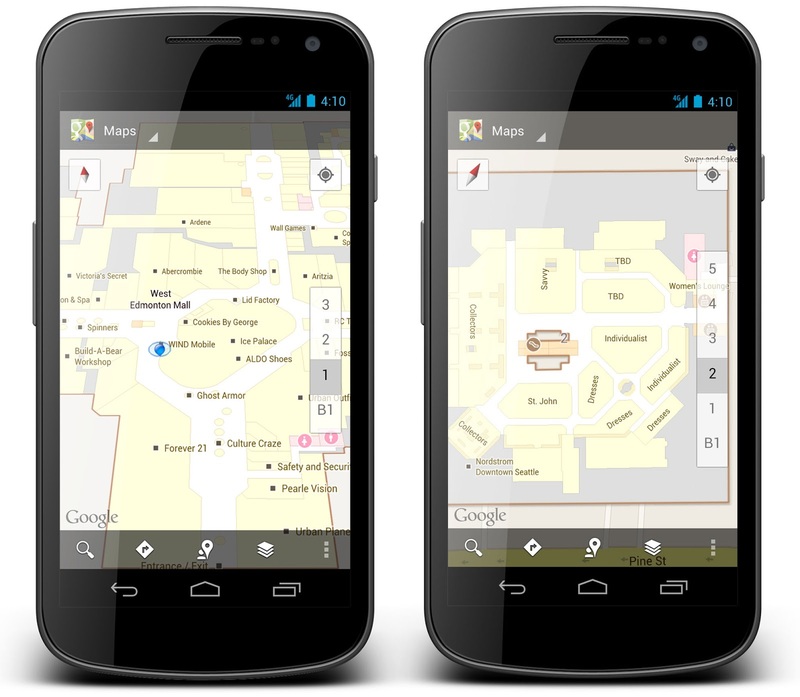 We hope these indoor maps make finding your way in and around retail stores easier, less stressful and more efficient this holiday season. 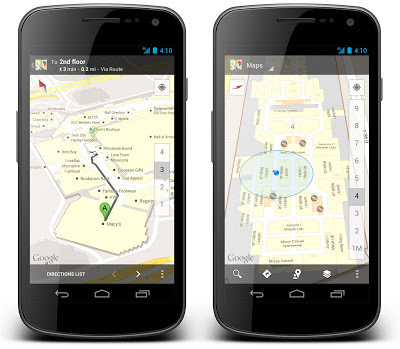 To access them, simply update Google Maps on your Android by visiting Google Play on your phone or desktop. Happy holiday shopping!